With the appearance and fast evolution of high performance materials, mechanical, chemical and process engineers cannot perform effectively without fluid processing knowledge. The purpose of this book is to explore the systematic application of basic engineering principles to fluid flows that may occur in fluid processing and related activities. 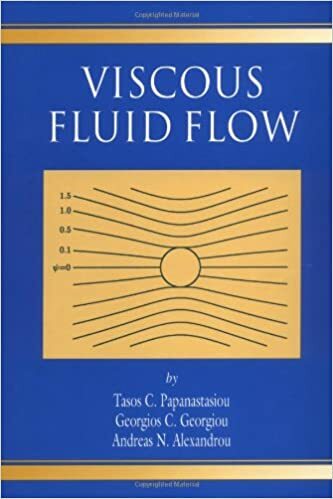 In Viscous Fluid Flow, the authors develop and rationalize the mathematics behind the study of fluid mechanics and examine the flows of Newtonian fluids. Although the material deals with Newtonian fluids, the concepts can be easily generalized to non-Newtonian fluid mechanics. The book contains many examples. Each chapter is accompanied by problems where the chapter theory can be applied to produce characteristic results. Fluid mechanics is a fundamental and essential element of advanced research, even for those working in different areas, because the principles, the equations, the analytical, computational and experimental means, and the purpose are common.